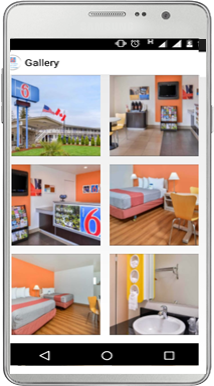 Welcome to a surprising world of comfort and convenience at the Motel 6 Salem, a clean and nice accommodation in Salem, Oregon where we’ll make sure you feel right at home. We offer the nicest rooms in the area and are proud to be an important part of the local community. Amenities you can expect when you stay with us at our 40-room hotel include free wifi, free parking and daily maid service. Plus, we offer family-friendly accommodations, and all rooms have complete heating and air conditioning systems so you’re always comfortable no matter the weather. Satellite television is provided at no extra charge too. Staying with us means you’re near Willamette University, the Oregon State Fair and the Oregon State Capitol. You may also want to visit Salem’s Riverfront Carousel, Enchanted Forest Theme Park or Minto-Brown Island Park. Many travelers also enjoy exploring EZ Orchid Fruit Market, Bush’s Pasture Park and taking in an event at Elsinore Theatre. There are many historical and natural attractions in the area as well. Our friendly staff can help you locate something to do that’s right for you. In fact, our service may be our best amenity here at the Motel 6 Salem. From the moment you step inside, you’ll know you’re in for an above-average experience and that you’ll be staying with people who genuinely care about satisfying you and making you comfortable. Many travelers also enjoy exploring EZ Orchid Fruit Market, Bush’s Pasture Park and taking in an event at Elsinore Theatre. There are many historical and natural attractions in the area as well. Our friendly staff can help you locate something to do that’s right for you. The Estate Vineyard, located south of Salem, is planted on an old west-to-southwest facing volcanic flow. Spirit Mountain Casino is Oregon's premier gaming destination. Located in Grand Ronde, Oregon, in scenic Polk County, Spirit Mountain is just 60 miles south of Portland, and 30 miles from Lincoln City on the Oregon coast.